Photo sharing giant Instagram took to its Tumblr blog of all places to announce that stories can now be shared with your friends via Direct. That's cool... I think. And when the story disappears from the original account, it will also vanish from your inbox. Some magical stuff right there. Users will also have the ability to switch off sharing for their stories, just in case you don't want them ending up in some rando's inbox. Also, if the story creator is a private account holder, then only followers can view and share said story. 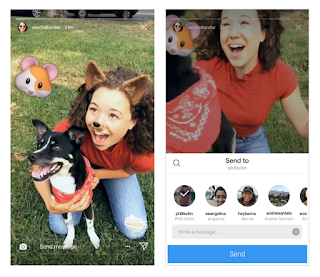 The new feature rolling out to all the users in the coming weeks via version 11.0 of the Instagram app for iOS and Android.